How to Summarize a Research Paper. In summarizing a research paper, keep in mind that a research paper has several parts. The parts of the research paper will serve as your outline for creating your summary. It is presumed that you have already read the whole text of the article, otherwise you will barely have any idea about what you want to write. Here are several tips on how to summarize a research paper. 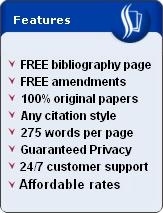 A research paper may have an abstract which basically tells the reader about what to expect from the article. If the research paper contains an abstract, it can serve as your most basic yet most concise summary of the entire research paper. If there is no abstract, go the introduction of the research paper. Identify the purpose and the background of the research. These things will serve as your introduction for your summary. 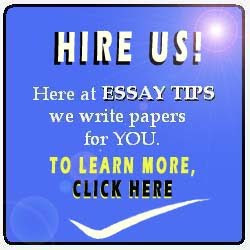 The introductory part of the research paper typically includes the thesis. Go to the literature review and list down the main arguments of the reviewed literature in the research paper, whether they be in support of or against the article you are summarizing. Identify the methodology used and the reason why the author chose that methodology. This usually refers to the methods, calculations or experiments applied to the variables in the research. Write down the data analysis done by the author. This typically includes the method used in the research in getting the needed data from the methodology. Briefly list down the results of the data analysis. Results may include the outcome of the experiment, the end-products or the effects observed at the end of the data analysis. Provide a short summary of the discussion of the results in the research paper. It basically includes the possible suggestions on how to improve the research or on how to conduct future research based on the given research. Reiterate the conclusion made by the author. DO NOT give your opinion about the research paper. Remember, you are writing a summary and NOT a position paper. DO NOT give unnecessary remarks that are not a part of the research. Write only what is written in the article and, more importantly, stick to the point. BE as brief yet concise as possible. You may want to know how to summarize an essay, a book or other articles.